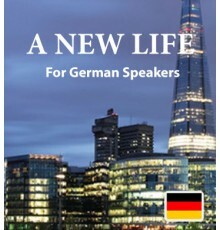 German speakers will find our books a wonderful way to begin learning English. Our books and audio tracks are designed to be downloaded instantly, so that you can begin learning right away. Through these fun, engaging stories, you’ll be exposed to a substantial vocabulary. Hearing the words used naturally and following along with the stories, you’ll gain familiarity and confidence as you learn. Every download includes the mobile app version of Easilang, which is perfect for travelling. 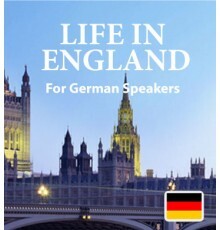 Our first book, called “Life In England”, is a fascinating collection of short stories inspired b..
“A New Life” is the story of a young German couple who decide to pack up their family and head to..